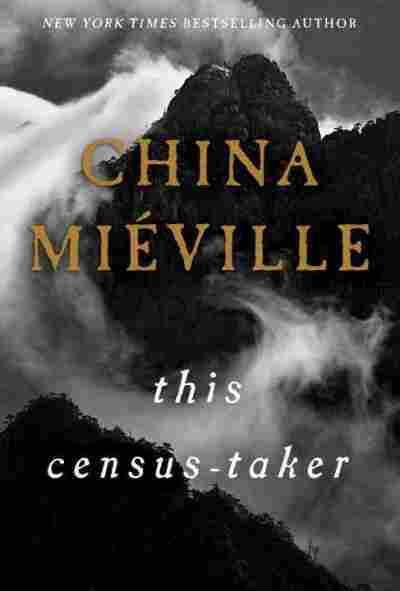 'This Census-Taker' Is A Quiet Book With A Murderous Heart China Mieville's new novella feels like a fairy tale. It's set in an isolated hill village, where a young boy witnesses a terrible crime and meets a mysterious stranger who may (or may not) help him. China Miéville is a magician. He's the Keyser Soze of the New Weird because you never know who he's going to be. He can do noir, do steampunk, do aliens and magic caterpillars. He's a shape-shifter. An incredibly prolific Dungeons & Dragons loving geek golem who can both blow your mind with ideas as big as the universe and break your heart with language so precise and polished, it's like he's writing with diamonds. His new book is a novella that stretches the envelope of the description — called This Census-Taker — about a man looking back on the traumas of his boyhood, a prisoner whose captors call him "guest," and the fallibility of memory. It's a fairy tale, this one, or at least it follows those beats. There are two poor hillside villages connected by a bridge over a plunging gorge. The boy lives with his parents in an isolated house, high up on one of the hills, above the town and far from its meager civilization. His mother works in the garden and barters for supplies in the town. His father cuts keys that can do magical things — change the weather, bring love, make broken-down machines work again. And everything begins with the boy running, screaming down his hill into the town below because he has just seen his mother kill his father. Or his father kill his mother. Or someone doing something terrible to somebody because this is a fairy tale, and no fairy tale gets truly started until there's blood on someone's floor. This is a fairy tale, and no fairy tale gets truly started until there's blood on someone's floor. The killing is the mystery that threads through the story — which careens through it, bumping up against other mysteries, other oddities, which, in turn, reveal small, spare details of the setting as the boy (isolated, alone) is forced to confront a world he is only beginning to understand. One of Miéville's greatest strengths is his ability to see his imaginary worlds through the eyes of his characters, not of his readers. The boy is young. He understands things as a child does — which is to say not really at all. There is a post-apocalyptic cast to his town, the bridge, the streets scattered with broken machines and the feral, orphan children who squat in abandoned buildings and become his friends. But these are simply the things of the boy's world. Its furniture. There has been a war. The boy knows only that people talk about it sometimes and that it happened somewhere else, nothing more. His mother tries to tell him about the town where she grew up and, maddeningly, the boy doesn't really care, so ignores her and her voice fades into the background. The magic that his father works in his downstairs workshop? Never discussed. Never explained. It's just his father's job. No, the boy is far more concerned with the animals his father kills for no reason — beating them to death with his hands, then throwing their bodies into a bottomless pit not far from their house. The boy is pretty sure his father has killed people, too. And then his mother. The local police don't believe him. The law says he is his father's property, so after his shrieking run down the hill, he is returned to the man, the silent house, the cold attic where he plays, the fog-shrouded hill. The boy escapes, is caught, escapes again, is caught again. His friends, the orphans, hatch a plan to help him but it goes wrong. Writing as a much older man, the narrator is sure only of his boyhood terror. His conviction that, sooner or later, his father would kill him, too. That is, until the arrival of the census-taker — the odd man with the glasses and the tie, the books of figures and a gun, who has come to ask questions. To find certain people and record them. To talk, in this case, with the boy's father. This Census Taker is a small, quiet and gentle book with murder at its center. It's a beautiful chocolate that you bite into and find filled with blood. It is Miéville at his most sparse, his most controlled and restrained — giving us a world defined by a broken carburetor, the sound of a walk being swept, a pantry full of mushrooms and spiders, the distant flickering of neon. And while the blind spots of the boy at its heart — the things he does not know, the questions he does not ask — may drive you crazy, the questions that Miéville leaves itching in your brain at the turn of the final page are almost as interesting as the (few) truths that have been uncovered.